Mega Man designer Keiji Inafune‘s PlayStation Vita game Soul Sacrifice will launch April 30 in North America, Sony announced today. The game will make its debut when it arrives in Japan March 7. Sony also today announced preorder bonuses for Soul Sacrifice. Those who reserve the game will receive an “exclusive” pack of in-game content that includes two costumes, three magic items, a Spirits’ Flamepike, a Spirits’ Blightstone, and a Spirits’ Fulgurwood. In addition, those who preorder Soul Sacrifice will receive the Japanese voice-over pack for free. This will be sold separately, but the only way to get it at launch is by reserving the game. In a statement, Inafune said he has worked hard to deliver a product gamers will enjoy. 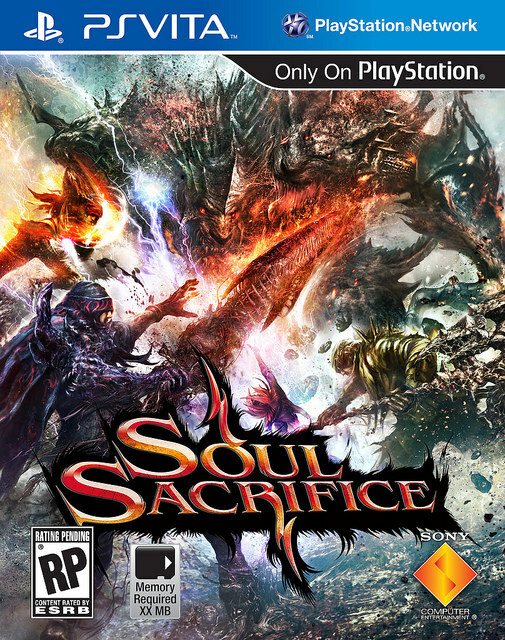 Developed by MarvelousAQL along with Inafune’s Comcept, Soul Sacrifice is a fantasy action game built around the idea that great power comes only from great sacrifice. To use powerful magic in battles, players must pay a price, ranging from an item to a limb.